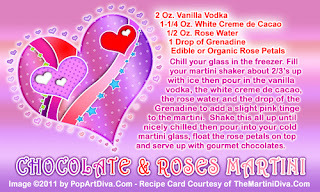 This Chocolate and Rose Martini is Valentine's Day in a martini glass. Edible roses and rose water are becoming very popular in food and drink recipes and have been used in cuisine the world over for centuries! I even have a recipe for making your own rose water!